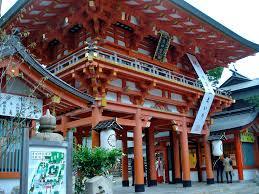 Ikuta Shrine is a Shinto shrine in Kobe and is possibly among the oldest shrines in the country. 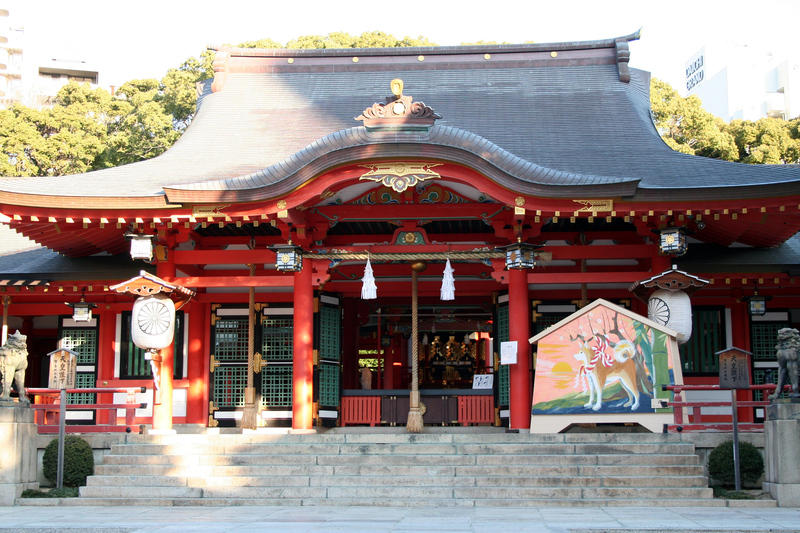 The founding of the shrine is noted in the Nihon Shoki history as being in AD 201. 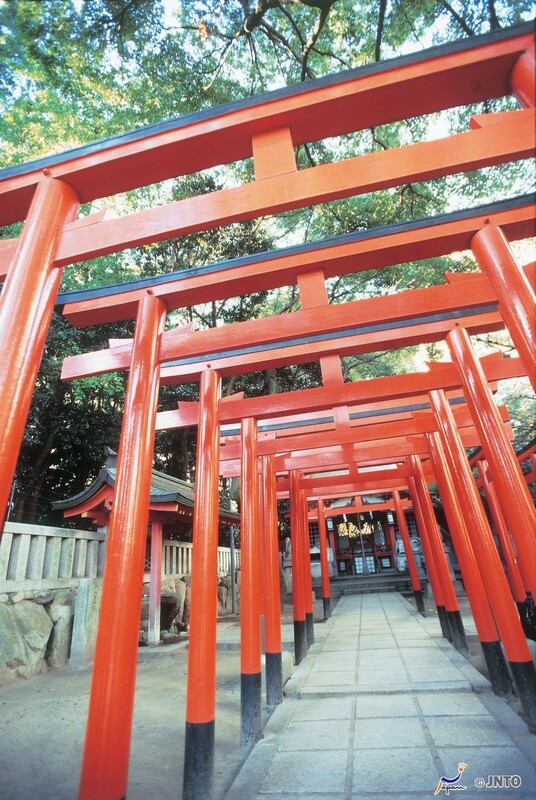 Affliated with the god of Matrimony, couples come to Ikuta Shrine to tie the knot. If you are lucky, you might see couples getting married at the Shrine. 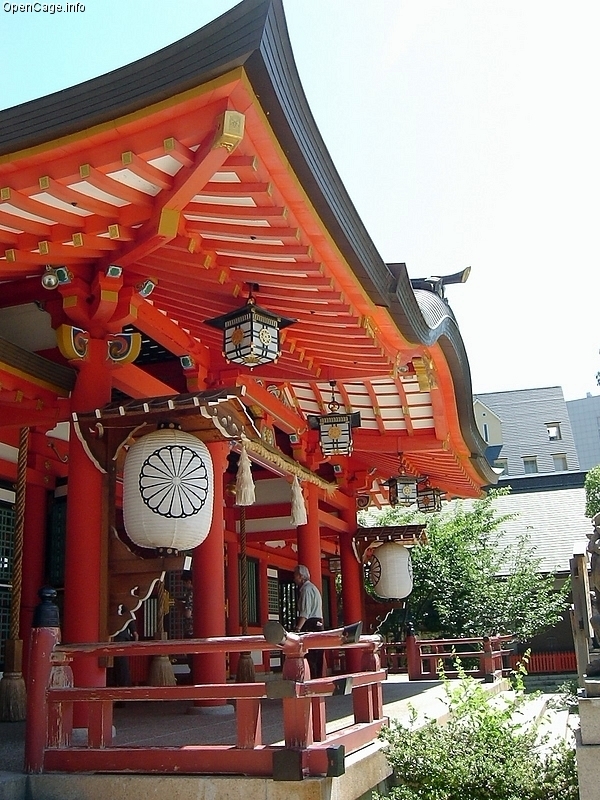 This shrine is of the Goddess Wakahirume-no-Mikoto, whose legend relates as being either the peaceful spirit (nigi-mitama) of the highest deity in Japan, the Sun Goddess Amaterasu-Omikami, or her sister. She is the goddess of giving birth to all that is young, dewy, and vital.